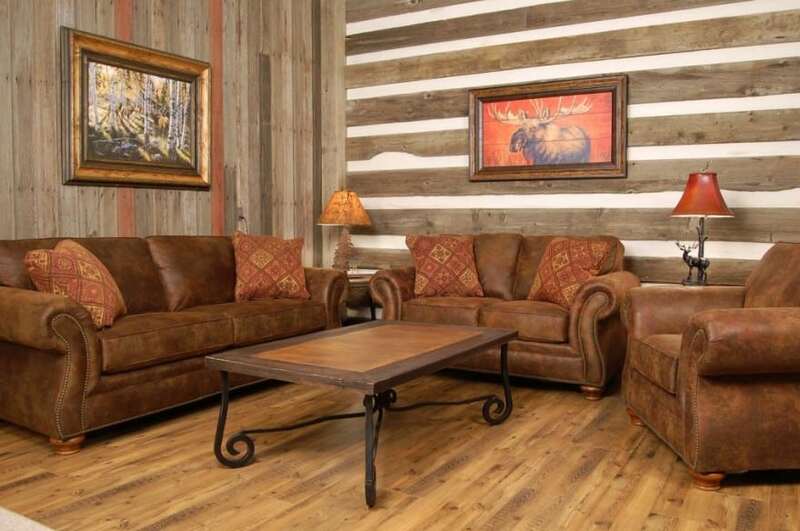 Western decor style is a design trend that has a nostalgic rustic feel. It embraces warm colors and natural materials, rich textures and ethnic patterns that can be used to create a warm, cozy and artistic setting. 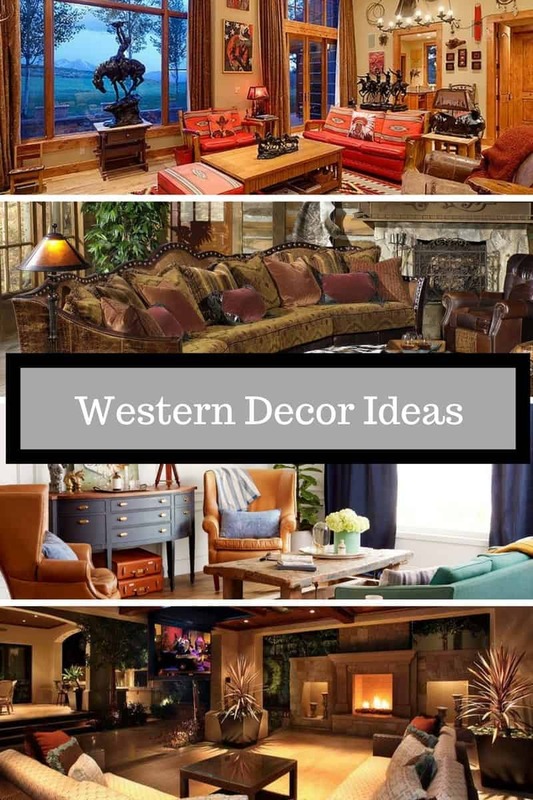 There are a few things you might want to consider if you choose to decorate your home in that way so let’s have a look at the following western decor ideas for living rooms. If you seek out to recreate the wild-wild West in your home, be sure to choose a warm-toned color palette with lots of sandy colors and deep brown shades. Do add a touch of color such a vibrant red, a fir green, or a clear sky blue. 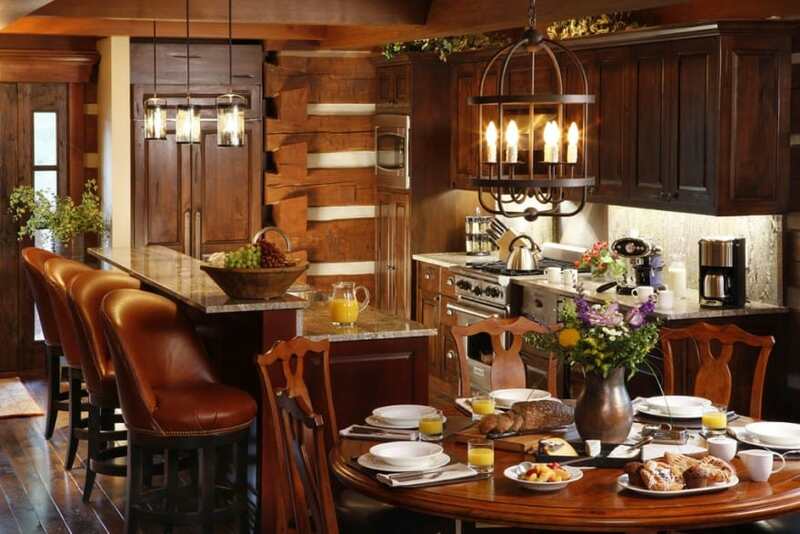 Splurge on natural materials such as wood, stone, wrought iron and genuine leather. 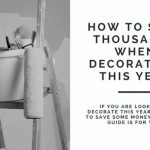 Throw a cowhide rug on the floor, mount a bearskin rug on the wall, or let an antler chandelier hang down from the ceiling. If you, however, cringe at the thought of having dead animal artifacts all around, you can always substitute those for a fine selection of harmless animalistic decor pieces such as paintings and figurines. 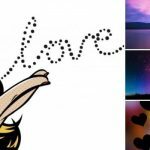 But most of all, be incredibly creative and check out our gallery that’s full of eye-catching Western style design ideas that are sure to inspire you. This western-style family room features a conversation area that includes a large sofa, a pair of armchairs and a round ottoman table, all placed on top of a beige-colored area rug positioned in front of a stone-clad fireplace. 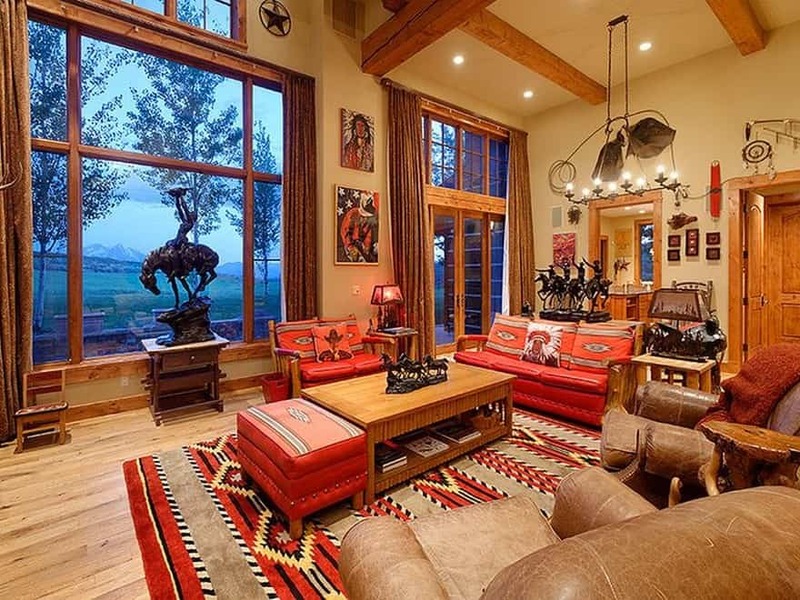 Here is another living room that’s inspired by the wild, wild West. True to its style, it is furnished with an eye-catching horse-themed leather set that includes a three-seat sofa, a small coach and an armchair with a footstool. Here is another living room design idea featuring wood-clad walls, a leather seating set, and animalistic decor pieces – paintings and lamps. All furniture pieces are arranged around a wooden coffee table with a wrought-iron base. 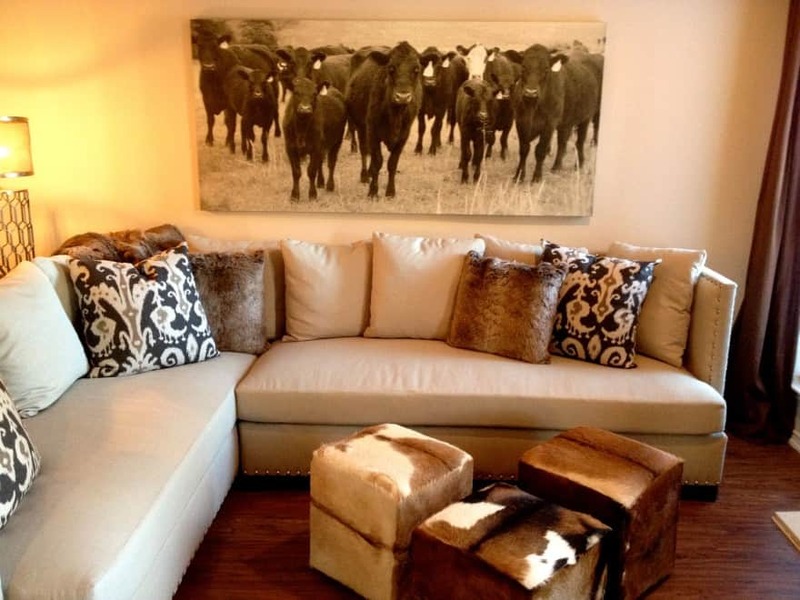 Here is a more modern take on Western-styled interior design. 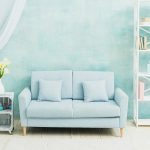 This proposal right here features a modern white leather sofa with a set of three cubic seats set in leather, that serve to replace a regular coffee table. 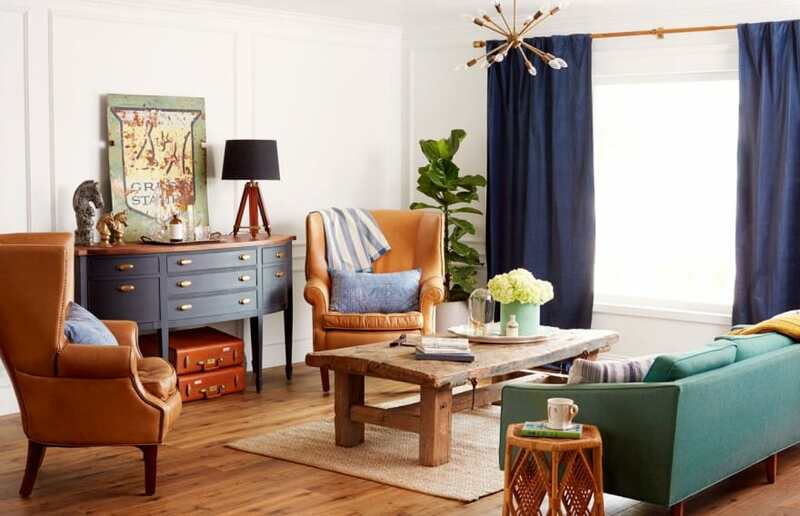 Have a look at this beautifully styled living room. 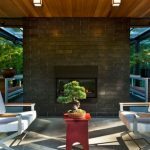 It features stone clad walls, a wood beam ceiling and a marvelous fireplace that can be enjoyed from a nearby seating area complete with two couches and a pair of lounge chairs. 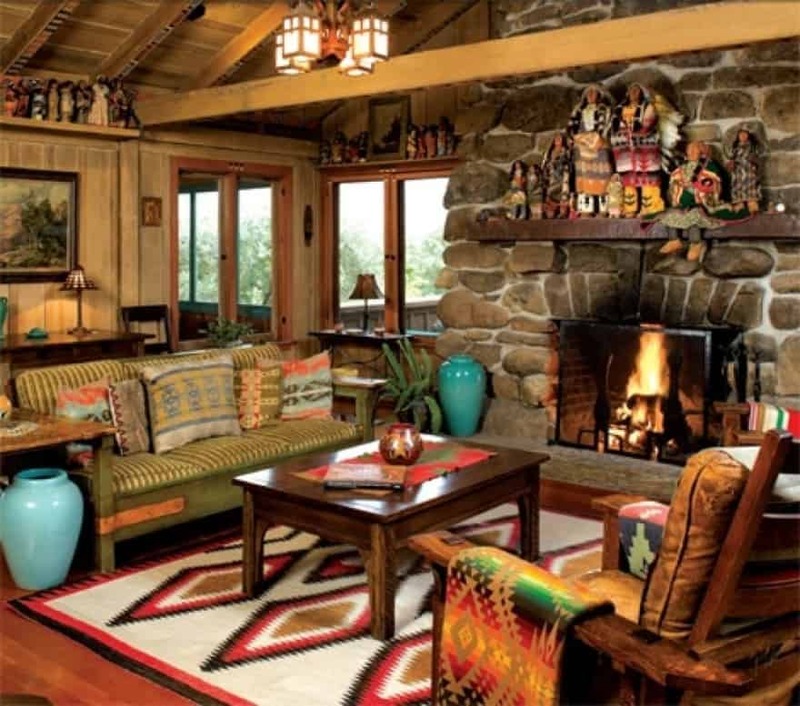 Here is another traditional living room design. 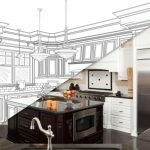 It features plenty of wood that can be found on the floor, ceiling and walls, as well as in all the furnishings – cabinets, fitted units, tables and sideboards. 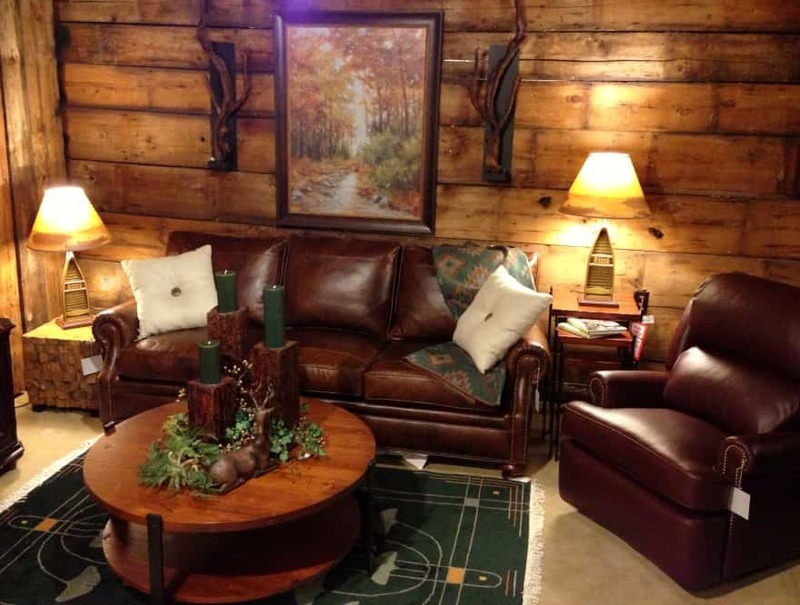 This neat little conversation area is so nice and cozy that it certainly makes you want to sink in the large leather sofa The leather armchair looks just as comfortable and inviting. As for the feature wall in the back, it looks splendid all in wood. This living room design makes a great use of neutral grey shades that are mixed together with warm beige and brown shades. 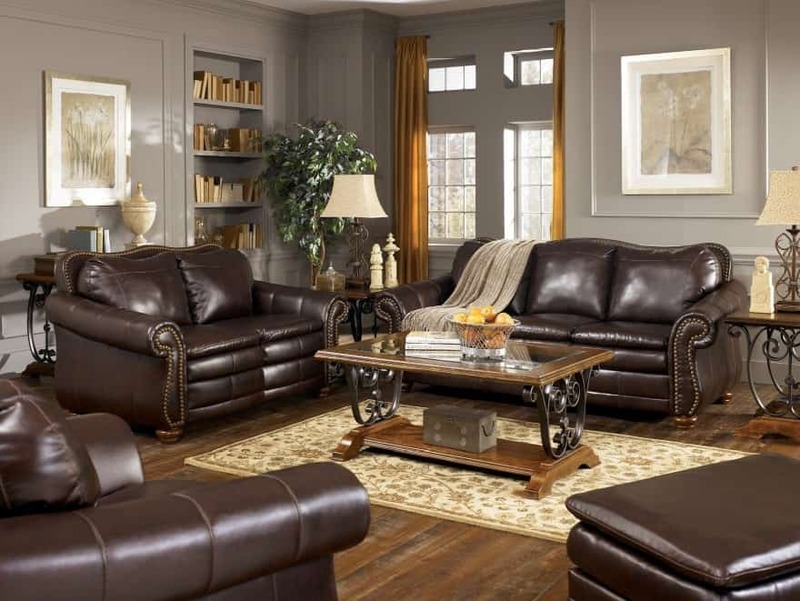 Chocolate colored genuine leather adds an extra touch of class to this perfectly sophisticated design. This conversation area accommodates an L-shaped sofa that can seat the whole family in the evening. This modern take on Western design features a warm-toned color palette and a fine selection of natural materials such as wood, stone, wicker and textiles. Here is a real cowboy worthy piece of design. 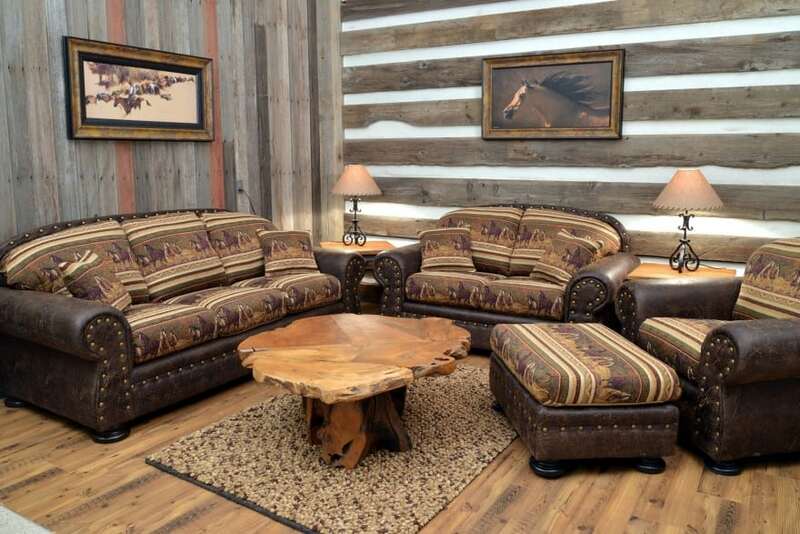 It features a leather seating set, a cowhide rug, and a whole lot of Western style decor pieces such a horse sculpture, and a horse scene painting. Here is another design idea the embraces Western style and culture, and makes the most of it. This living room area features a fancy seating set made of wood and leather, a matching coffee table and a classic area rug. Here is a more cheerful interpretation of Western design. 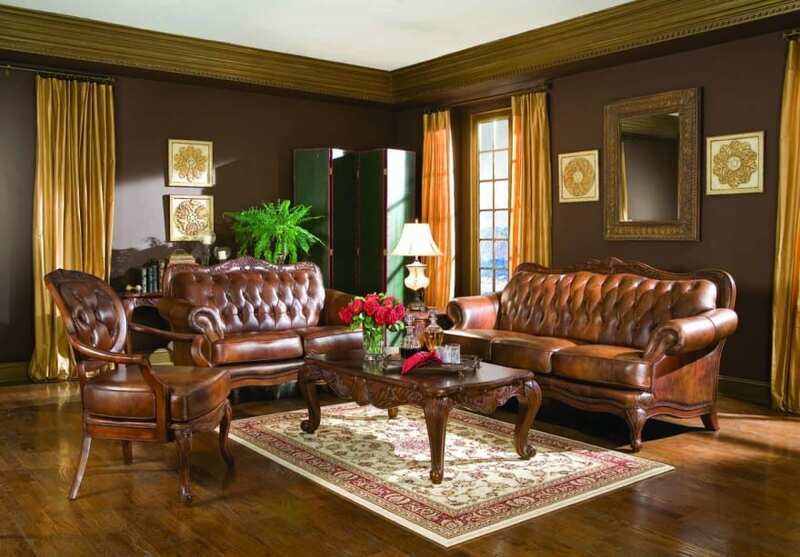 It features the traditional beige and brown colors, but also adds a pop of color that makes a great accent. The patterned rugs and textiles add more texture to the design. 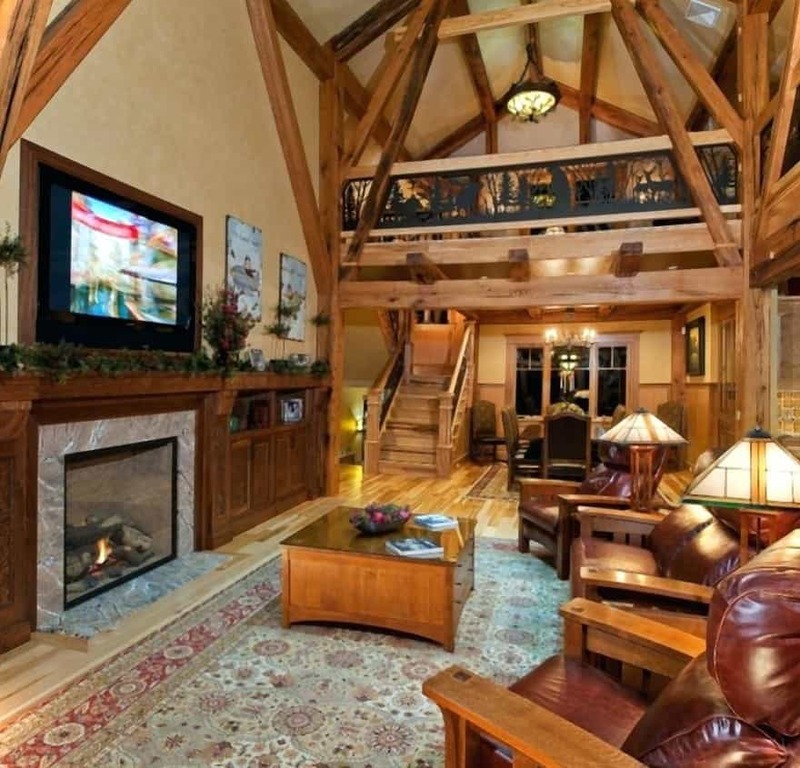 This open concept home features a living room with a soaring wood beam ceiling. The living room accommodates a wood and leather seating set that consists of a couch and a pair of armchairs. Here is a fascinating Western style design that embraces bold red colors. They make a fabulous accent and certainly bring the whole place to life. The native American themed artwork is another fine addition to this design. This kitchen-dining room combo features a kitchen area with a bar counter and a dining area with a round table. The leather bar stools are a nice addition to the design making you feel as if you’re in a traditional American saloon. This interior space accommodates a sitting area with a leather sofa and checkered couches. 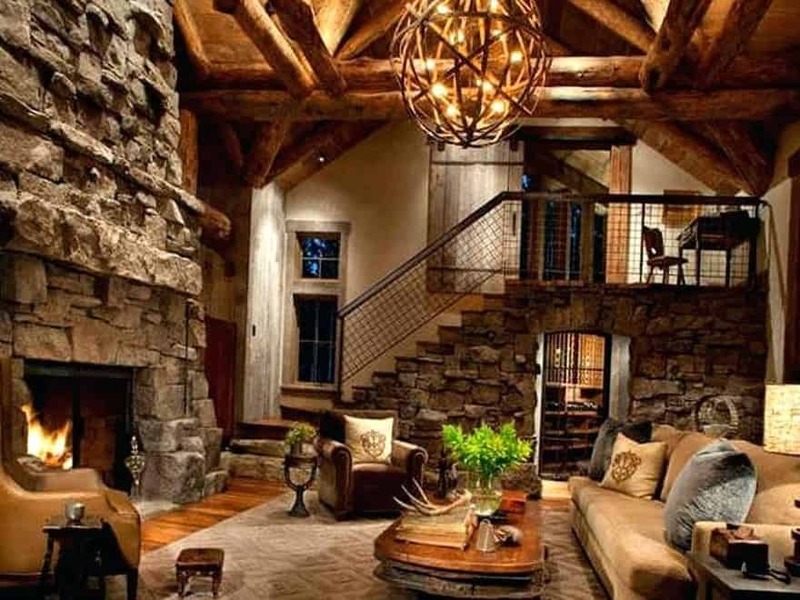 The stone clad fireplace is a great focal point, but the antler chandelier coming down from the ceiling steals the show here. 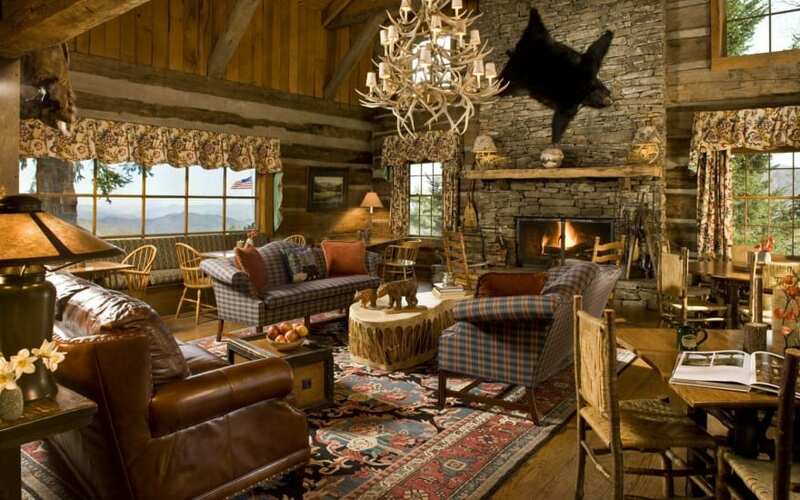 Here is another masterfully designed living room with a Western appeal. It features an enormous stone clad fireplace with a comfortable sitting area nearby. 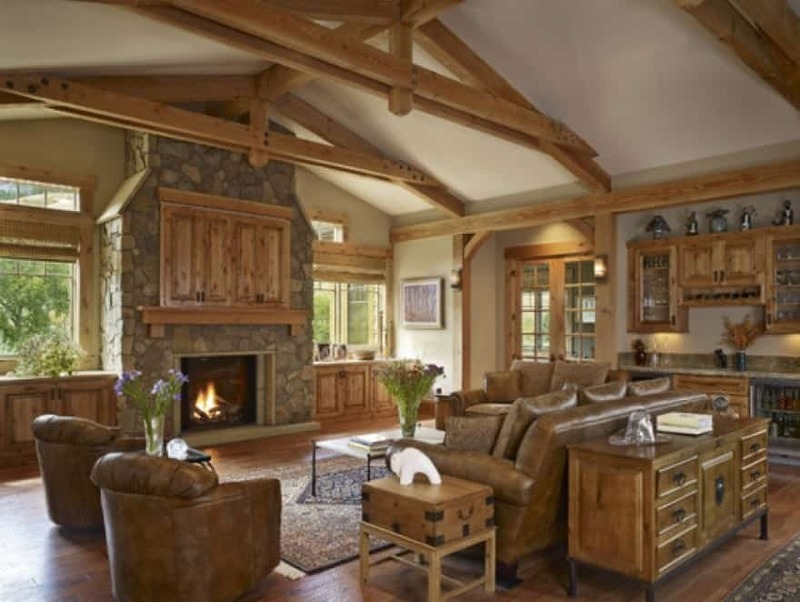 The log ceiling is a fine addition to this exceptional design. 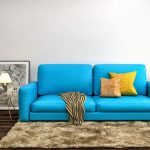 Here is a more simple and more modern living room design. 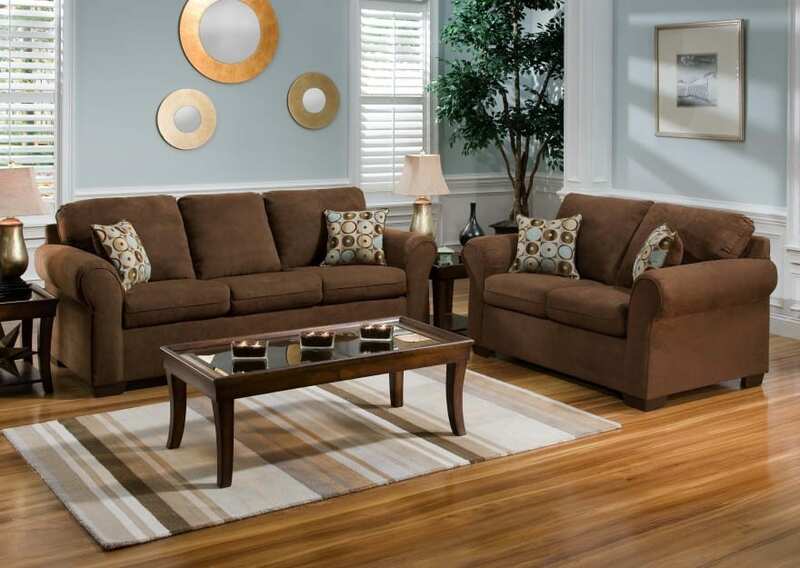 It features a brown-toned sofa set complete with a wood and glass coffee table and side tables. The striped rug and patterned throw pillows add an extra touch of style to the design. Here is an eclectic design proposal that mixes and matches Western style with Midcentury modern elements. This creative approach really is something. It is a breath of fresh air and a treat to the eyes. 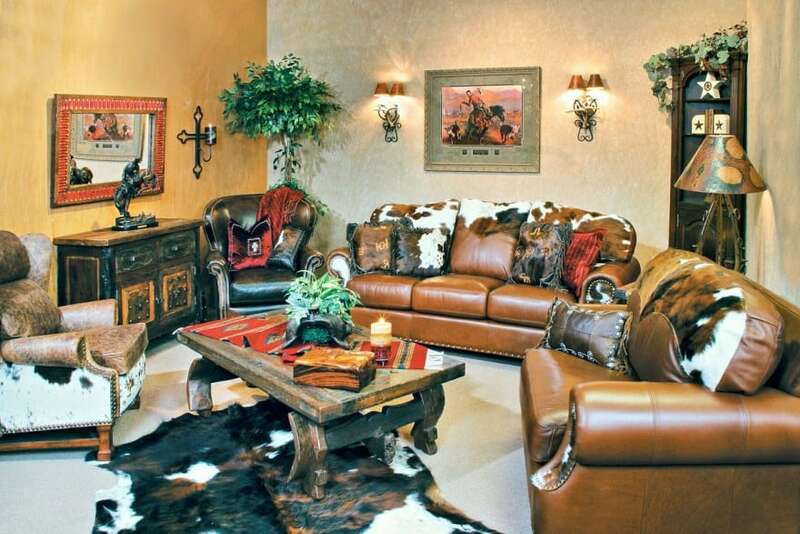 This Western style interior design features one of a kind furniture pieces that make great accents in the room. 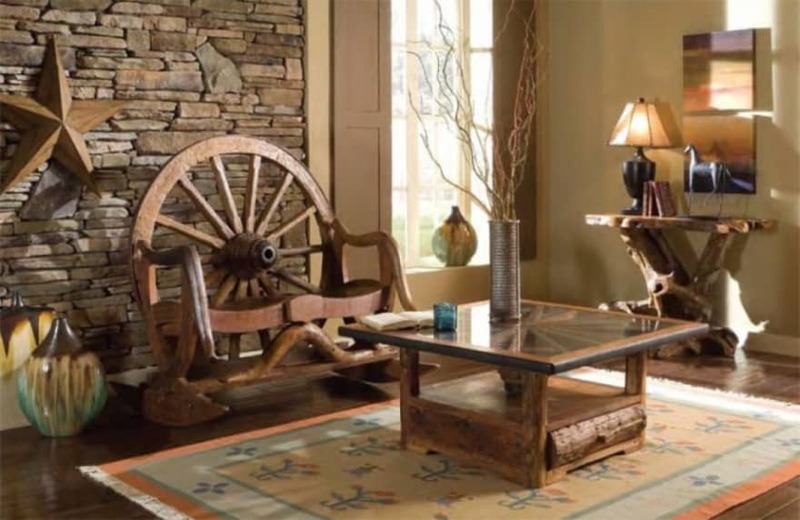 The cartwheel rocking chair is pretty fun, and the unrefined wood console table is a true masterpiece.